John was born and raised in Mississippi. God called him to the ministry in 1998 and he began serving in ministry the following year as a youth minister. He moved to Arkansas in 2006 before sensing the Holy Spirit leading him to the East Coast. He made his way to Tabernacle in 2014. He is married to Kimme and they have four children. 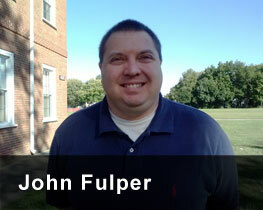 He is a graduate from Union University in Jackson, TN, and Liberty University in Lynchburg. Being from Mississippi, he is a fan of SEC football, especially the Mississippi State Bulldogs. He is also a fan of the Denver Broncos in professional football and the Chicago Cubs in baseball. John joined the Tabernacle staff in September 2014. Adam was born and raised in Yorktown. He felt God begin calling him to ministry in 2002 and has been serving in various ministries since. He has a passion for reaching the lost, and for children's ministry, youth ministry and camp ministry as well. He graduated from Liberty University in 2014 with a BS in Religions and plans on using his degree to serve the Lord, with the possibility of continuing his education in the future. He enjoys spending time with his wife, Ashley and close friends, playing boardgames, playing sports and watching professional sports as well. He is a huge fan of the Washington Redskins. 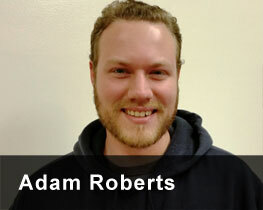 Adam joined the Tabernacle staff in December 2015. Kathi was born and raised on the Peninsula. She can't remember a time when she wasn't involved in church. Her ministry passion is to see everyone completely satisfied with Christ and Christ alone and feels blessed to have the opportunity to pursue that passion through music and worship ministries. Kathi has three children, Eric, who is married to her daughter-in-love, Amanda; Ashley; and Timothy, her mid-life baby who is in fourth grade. She also has two grandchildren, Aiden and Penelope. She enjoys the beach, the beach, the beach, as well as kayaking, reading and watching ACC basketball (Go Duke Bluedevils!). 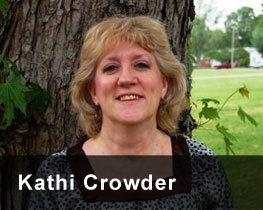 Kathi joined the Tabernacle staff in August 2010. Sherry is a native of eastern Kentucky and has always been active in church. She attended Western Kentucky University, where a friend introduced her to the Baptist Student Union and she began attending Bible studies and local Baptist churches. She and her husband Wayne have two children, Sandy, in Denver, CO and Jack, and a granddaughter. 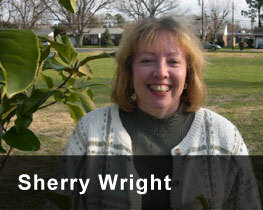 Sherry joined the Tabernacle staff in July 2005.